Add the peeled and quartered potatoes to a pot. Cover the potatoes with water by a couple of inches. Bring the water to a boil. Add about ½ tbsp. of salt. 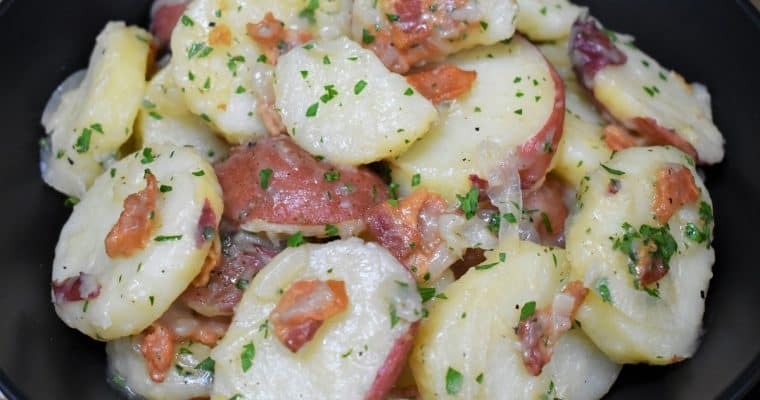 Cook the potatoes until they are fork tender, approximately 10-15 minutes. Drain the potatoes well, set aside. Add the eggs to a medium pan and cover them with water by a couple of inches. When the water comes to a full boil, turn off the heat, cover the pot and let the eggs sit in the hot water for about 10 minutes. Rinse the eggs with cold water, when they are cool enough to handle, peel and set aside. In a large bowl add the drained tuna and break up any large chunks with a fork. 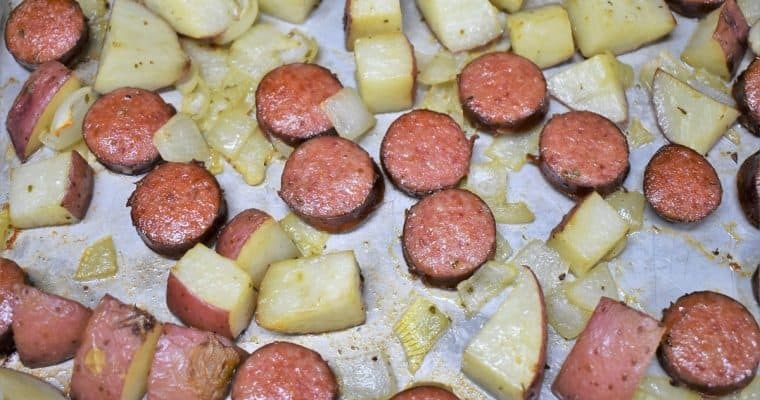 Add the potatoes, sliced onions, olive oil, vinegar, ½ tsp. of salt and pepper. Toss gently to combine. 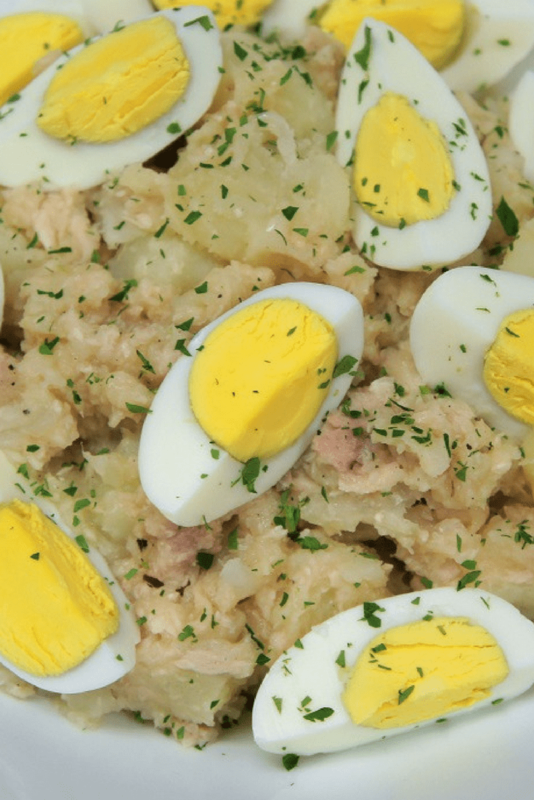 Quarter, slice or chop the eggs and add them to the potato salad. Garnish with parsley and refrigerate until ready to serve. 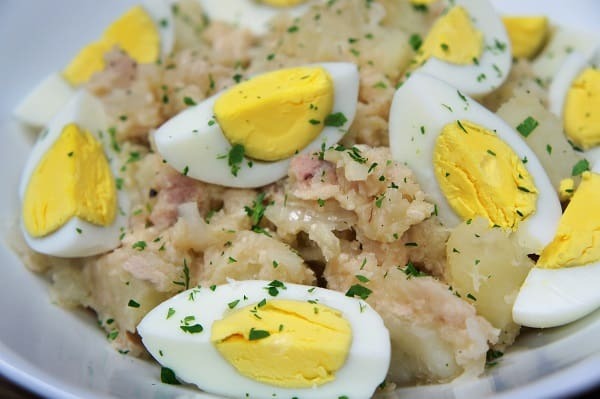 This potato salad with tuna is delicious served with saltine crackers and hot sauce. Enjoy!